Argan Oil Hand & Nail Cream with moroccan argan oil extract nourishes and hydrates, leaving the hands feeling soft and smooth. This cream is specially formulated with a unique blend of Aran Oil and Shea Butter. 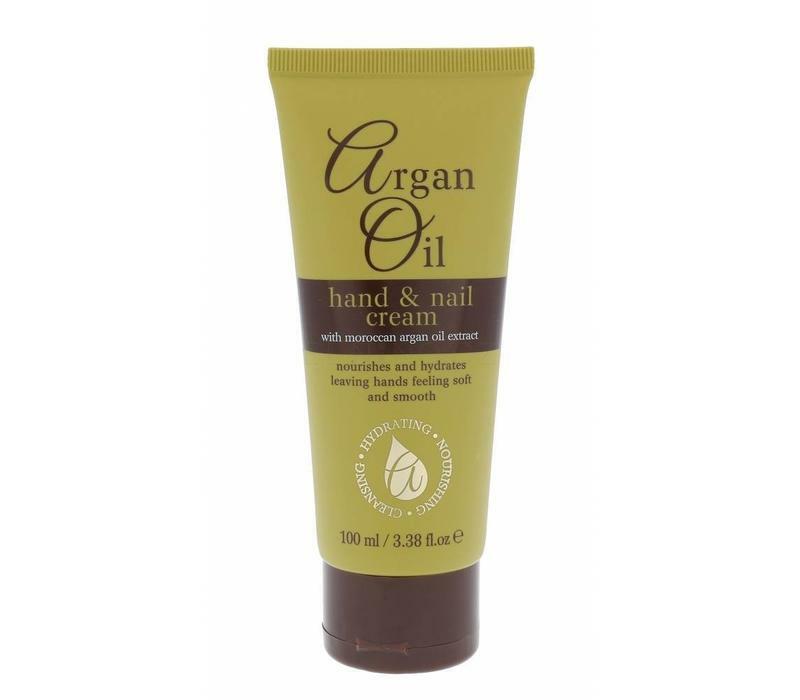 Argan Oil Hand & Nail Cream with moroccan argan oil extract nourishes and hydrates, leaving the hands feeling soft and smooth. This cream is specially formulated with a unique blend of Argan Oil and Shea Butter. Let hands and nails feel smooth. Massage the cream into hands and nails with a gentle movement. Aqua, Pafaffinum Liquidum, Cetyl Alcohol, Ceteareth-20, Propylene Glycol, Isopropyl Myristate, C12-15 Alkyl Benzoate, Octyldodecanol, Dimethicone, Argania Spinosa (Argan) Kernel Oil, Butyrospermu Parkii (Shea Butter), Perfume Carbomer, Sodium Hyaluronate, Methylparabem , Propylaparben, Sodium Hydroxide, Tocopheryl Acetate, Aloe Barbadensis Leaf Extract, Dmdm Hydantoin. Also check out our entire collection of hand cream or curious about the entire collection of Argan Oil ?